Want to experience some fun while listening to your songs on the iPad? Check out the free app Planetary. 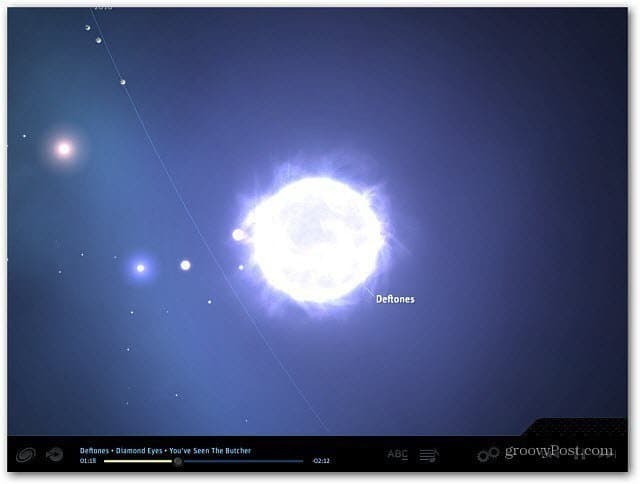 It gives you groovy space graphics to interact with while listening to your tunes. Want to experience some fun while listening to your songs on the iPad? 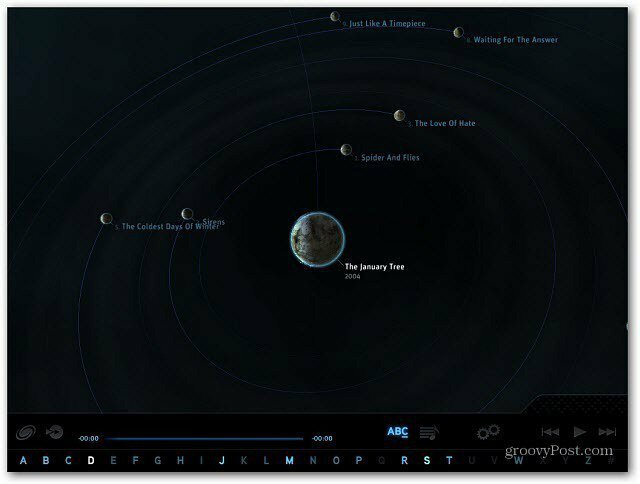 Check out the free app Planetary. 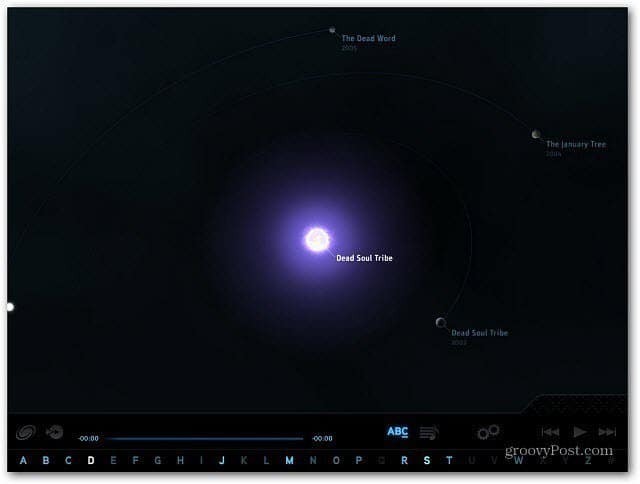 It gives you groovy space graphics you can interact with while listening to your tunes. First, download the free app Planetary. 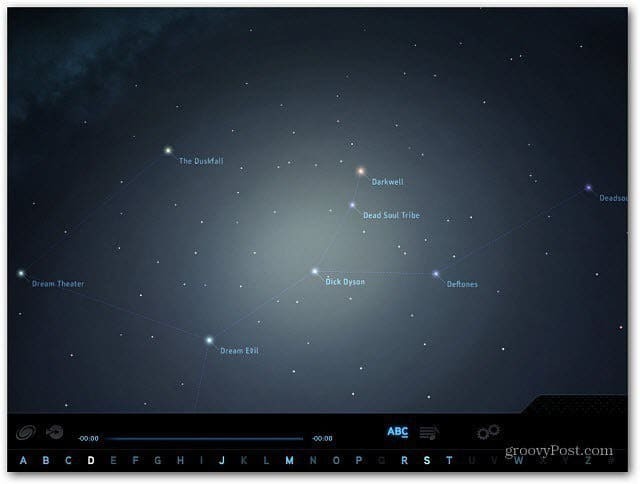 Launch it, and you’ll see your music collection come up as star charts. at the bottom you can select a letter that gives you the different artists that begin with the letter you select. Tap on the band or artist you want to hear, and it goes into another chart showing the different albums. The band is like the sun and their albums are planets rotating around it. Tap an album, then you get a chart of the songs on that album. Tap on a song to begin playing it. Now the fun starts! 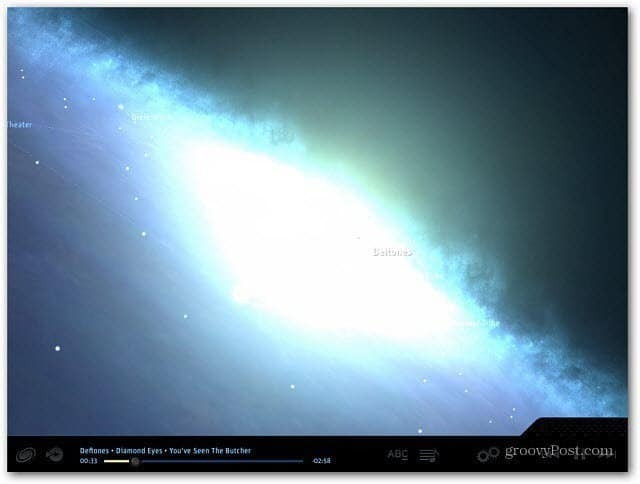 While the song plays, click and swipe around the screen to move the music galaxy around. This is much better than just letting random visualizations run while listening to music. This is a really fun app and it’s free. It brings fun interactive visualizations to play around with while listening to your favorite songs. Enjoy!